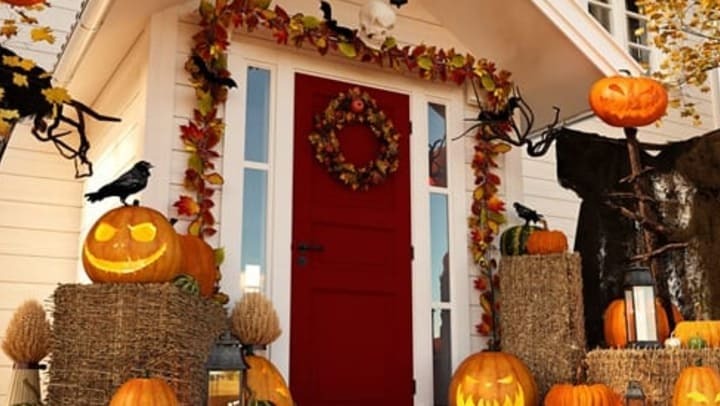 As October comes to a close, and you’re left with a house decorated top to bottom in your favorite Halloween décor, you are faced with one question: How on earth will you store it safely and keep it easy to unpack for next year? Well, you can store your fears away because we have generated the most helpful Halloween storage tips for 2018. You’ll never have to spend hours carefully unwrapping each small breakable from a roll of toilet paper or worry about pulling out the Halloween box and being greeted with unwelcomed creatures again. Before you begin taking down the decorations, make a list of what you would like to keep and store, donate, or recycle. Make note of what decorations go where so next year you can decorate one area at a time and not be searching through the garden décor for your Halloween tablecloth. Planning is the most important step for organized storage. Start by taking down the outside items first. These are likely the largest most difficult items to pack so you’ll want to make room for these items first. If you’re using one of our self-storage units, check out our unit size guide to determine the perfect size for your storage needs. Use old toilet paper rolls to wrap lights around to avoid a frustrating knot detangling process or broken light bulbs. Use plastic bags to store any cloth items to protect them from possible weather and moth damage. Finally, as you make your way to the smaller household items turn to bubble wrap! Bubble wrap has a cushioning quality you can’t possibly attain from layers of paper and will protect your items from humidity, pests, and rough handling. Remember to keep track of what you’re packing and what it will be stored with, you’ll be glad you did. Now that all your items are prepped and ready you can finally put them into their home for the next year. Opt for plastic containers over cardboard boxes and use masking tape to label each box. Plastic containers will protect your belongings from those pesky unwelcomed bugs, moisture, and detrition over the year. You can even use translucent color plastic containers for any easy peek inside and to distinguish other holidays. If you follow these tips you’ll be able to safely and quickly store your decorations for next year. If you have any further questions please feel free to contact your local office and speak with one of our Halloween storage experts. Happy packing!